OK, the NFL has an officiating issue. 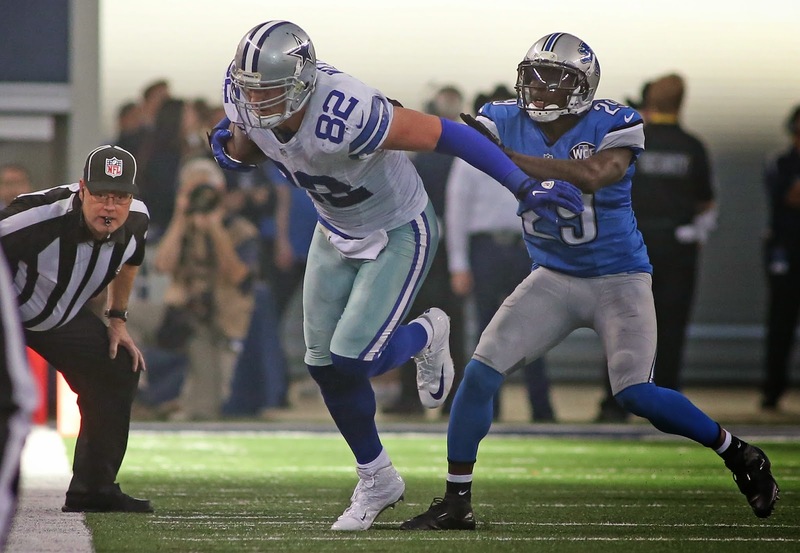 Perhaps the Lions would have lost Sunday’s game to the Cowboys without the help of the officials. Perhaps not. Tony Dungy, a guest on the Dan Patrick Show on Monday morning, argued the NFL should have the top four officiating crews working the playoff games. It shouldn’t be an all-star situation like is was at Sunday’s game. That crew had not worked together all season. Dungy had plenty to say about the situation. “I‘ve never seen a situation like that where you have the conference then the flag gets picked up after they announce the penalty. I don’t see how that can happen,’’ Dungy said on the show. “You’re very frustrated and the fact you look at it on the replay and it’s clearly pass interference, there’s no way it should have been picked up,’’ he added. That said, he has more of an issue with Dez Bryant without his helmet running onto the field to protest the call. “To me that was worse than the pass interference call,’’ Dungy said on the show. “You can debate the pass interference call, the helmet rule is plain. For an official not to have the courage to call that, Dez Bryant is not on the field at the time, he’s an offensive player, he’s not coming out to substitute. “There’s no reason he’s out there other than to argue the call with no helmet on, every official should have thrown the flag at that point at the very least a 15-yard penalty. There’s no way you can justify not calling that,’’ said Dungy, the former NFL coach. Dungy and Jim Caldwell worked together at the Bucs and Colts. Dungy said he think Caldwell will now concentrate on what he can control. Caldwell will hold a season-ending press conference this afternoon. Just poor ethics honestly. Call shouldve been made and bryant shouldve been flagged. Why have rules and infractions if they arent made without a hiccup. Its their job. They didnt do their job correctly. Mustve been hungover from the cowboys party bus still. Ethics people. Ethics. How about a flag on D. Murray for taking his helmet off after his T.D. Run also. I want to hear how the officials will be penalized, i.e. fired, suspended. I also would like the Ford family to speak out, Jerry Jones is always flapping his mouth. I know that is not their way but this is a time to take a stand.